0 Results exactly matching the search phrase. 4 Results matching titles words. 17 Results matching product descriptions. 8 Results matching title or description. VGA to 480i-576i Y-Cb-Cr Component Converter allows the image from your computer to be displayed on your TV. It scales down the input PC image and converts it to a component signal. It supports high resolution PC input up to UXGA (1600x1200), and supports an output resolution of 480i or 576i. The DVI, VGA & Component to DVI, VGA Scaler Converter is designed to accept a video signal from a DVI, PC (VGA) or Component source, and to scale and/or re-format the signal to analog PC (VGA) and digital DVI outputs. The HDMI, VGA and Component Video to 4K UHD+ HDMI Scaler is designed to scale up or down an HDMI, PC or Component video resolution to best suit the specifications of the attached monitor. The HDMI to PC/Component Converter with Audio Box is designed to convert HDMI and DVI HD signals to Analog PC or Component SD/HD timings. It enables to convert HDMI sources to any analog PC timing for PC monitor, or Component YPbPr timing for Projector or TV. Simple switch operation selects the desired output mode of PC VGA or Component SD/HD to match the input signal format of HDMI PC or HD. 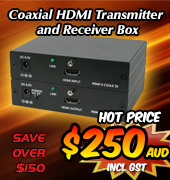 The high bandwidth capability of the HDMI to PC/Component Converter with Audio Box supports a wide range of PC and HDTV resolutions and works with DVI source signals. The Component and PC to Composite Video Scan Converter is designed to down scale Component and PC VGA signals to an analog Composite Video NTSC or PAL signal. 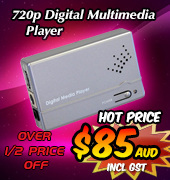 Supporting Standard Def and High Def Component inputs from 480i/p to 1080i/p, and PC resolutions of VGA up to WUXGA@60hz, this scan converter scales down to either Standard Def PAL or NTSC video for CV (yellow plug) connection to SDTV's. The Component to RGBHV Converter (CYU-343) will convert YCbCr 480i/576i (15Khz) and YPbPr 480p/576p (31Khz) to RGBHV for connection to a VGA monitor. PC-HD to PC-HD Scaler w/PC-HD pass-thru is designed to upscale PC and Component HD resolutions to other selectable PC or Component HD resolutions. PAL 50Hz and NTSC 60Hz output timing formats can also be selected, allowing for PAL/NTSC or NTSC/PAL conversion. A wide range of selectable resolutions are available, for PC from VGA up to WUXGA and for Component HD from 480i/p up to 1080i/p. 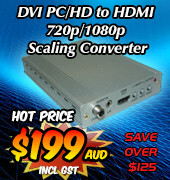 Connect your PC to your HD Component TV to display up to full high definition 1080p. Alternately, connect your Component source to any PC monitor and display up to WUXGA resolution. 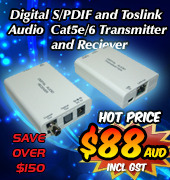 HDMI to DVI Converter with SPDIF Digital Audio converts digital HDMI video and audio to DVI-D digital video and SPDIF digital audio output. It enables you to split the digital HDMI source into it's video component via DVI and it's audio component via SPDIF. Supports HDMI PC and HDTV resolutions VGA to UXGA and 480p/i 1080p/i and digital SPDIF LPCM, Dolby Digital and DTS. Full incoming HDMI TMDS signal amplification and equalisation is performed before being presented as DVI-D video and SPDIF audio signal for transmission, ensuring excellent signal quality. The HDMI Displayport VGA 3D-2D Scaler w/3D Bypass is a high performance video processor which allows 3D movies to be watched on a 2D display. When 3D to 2D conversion is not required, the 3D signal is passed thru. Besides 3D manipulation on the HDMI channel, the device can scale and switch HDMI, DisplayPort, PC and Component inputs to its HDMI output, with their associated audio signal processed synchronously. The Multi Video to HDMI, VGA and HDBaseT Scaler (PSE) has an HDMI input, as well as Composite, Component and PC (VGA) inputs. Any input can be freely selected for display at a scaled resolution of the user’s choosing over the three mirrored outputs of HDMI, HDBaseT and PC (VGA). The Multi Video to HDMI and VGA Scaler Format Converter connects video and audio signals from sources such as Composite Video, Super Video, Component HD Video, HDMI, DVI and SDI Video and VGA signals from a PC, all into one compact device. The video signals from any of these sources are then processed, converted and scaled up to a digital HDMI or analog Component or VGA output signals, depending on type of connected monitor. Convert HDMI PAL or NTSC format to HDMI NTSC or PAL format to display on any HDTV. Professional Video Scaler CSC-1600HDAR. This is a high-performance video scaler, converting composite, S-video and YCbCr component video into high resolution computer and HDTV resolutions. Output is available in VGA, SVGA, XGA, SXGA, WXGA, 1365x768, 720p or 1080i resolutions in RGBHV format and as 480p or 576p in YPbPr format. The Video to 3G SDI and HDMI Scaler Box upscales any video signal from a HDMI, PC VGA, Component HD or Composite source to a HDMI High Definition video with 720p@50/60Hz, or, 1080p@50/60Hz and SDI formats including HD_SDI SMPTE 292M, or, 3G-SDI 424M/425M. The converted input video signal is output as a High Definition HDMI signal and an SDI signal, both transmitting at the same time. Supports input timings for HDMI and Component HD of 480i/p~1080i/p@50/60Hz and PC VGA resolutions VGA~WUXGA, with selectable 720p@50/60Hz and 1080p@50/60Hz output. The selectable output allows conversion of Video formats of PAL(50Hz) to NTSC(60Hz) and NTSC(60Hz) to PAL(50Hz), making the Video to 3G SDI and HDMI Scaler Box ideal for use in any country. The Video to HDMI-VGA Scaler Converter is a quality video processor designed to convert standard and high definition video to a selectable HDMI, Component or VGA high definition output. Using the latest technology algorithms for enhanced video processing and on-board OSD menu for setup, the Video to HDMI-VGA Scaler Converter is ideal for interfacing old and new video technologies. UHD 6G HDMI Analyser and Pattern Generator is the highly advanced replacement for the superceded ID#727. Developed to include new generation HDMI UHD 4K2K 6G signal detection and analysis, this robust device still performs test functions for early version HDMI SD and HD, DVI, PC VGA and Component YPbPr/YCbCr based equipment.